New Delhi: The government is not planning to impose any capital controls to check the rupee’s slide, a senior government source with direct knowledge of the matter told Reuters on Monday. 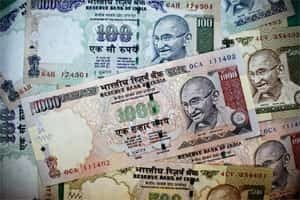 Over the weekend, Subir Gokarn, a deputy governor at the Reserve Bank of India (RBI), had said the central bank would use all available tools including “strategic capital controls" to stem a fall in the rupee if the currency’s downward spiral accelerates, the text of his speech posted on the bank’s website showed. “It is totally wrong," the source, who declined to be named, told Reuters. The source declined to comment further. The partially convertible rupee, which touched a record low of 52.73 on 22 November, has shed about 13% so far in 2011. It also remains the worst performing currency among Asian peers. The Indian unit got a reprieve last week after the world’s big six central banks banded together to try to ease dollar funding strains, helping it to snap a four-week losing trend. But analysts widely expect it to continue to slide, with some forecasting it to touch 56 against the US dollar. It closed at 51.41/42 per dollar on Monday, 0.4% weaker than its 51.20/21 close last Friday. The rupee is under pressure as foreign investors are paring their exposure to Asia’s third-largest economy amid global uncertainty and mounting worries over the domestic economy. Foreign portfolio investors have sold a net $50 million worth of equities so far in 2011, in sharp contrast to the $29 billion they invested in 2010, data from the Securities and Exchange Board of India’s (Sebi) website showed. In November, foreign funds had pulled $661 million out of Indian stocks. Imposing capital controls may check the rupee’s slide by restricting forex outflows, but is not considered a prudent move in the long run. “Imposing capital controls is not a preferred step. They at times help short-term interests, but are likely to harm medium- to-long-term attractiveness of the country as an investment destination," said Siddhartha Sanyal, an economist with Barclays Capital in Mumbai. “India being a current account deficit economy needs foreign inflows. Imposition of capital controls may make foreign investors wary of investing here." India’s current account deficit swelled to $14.1 billion in the April-June quarter, nearly triple the previous quarter’s tally. The full-year gap is expected to be around $54 billion. To attract capital inflows, India has increased the limit on foreign investors’ investment in government and corporate debt instruments. It has also raised the ceilings on interest rates payable on non-resident deposits, besides enhancing the all-in-cost ceiling for external commercial borrowings.